Sam is killing me with the multitude of different striped shirts. This one is another light blue and white striped shirt. In Bad Day At Black Rock (3x03), Sam wears it for the entire episode. In Heartache (8x03), this shirt is suddenly resurrected, as we see Sam wearing it at the farmer’s market at the beginning of the episode. In Man’s Best Friend With Benefits (8x15), Sam wears this shirt to go to James’ house. He keeps it on throughout the day of researching (minus a brief stint in a suit at the police station), but changes out of it after Portia stops him and Dean from killing James. In The Purge (9x13), Sam wears this shirt at the end of the episode, when they wrap things up at Canyon Valley and then talk back at the Bunker. In LOTUS (12x08), Sam wears this shirt when they leave the Bunker to go and try to defeat Lucifer. He keeps it on until the end of the episode. In First Blood (12x09), Sam is still wearing this shirt when they are arrested and taken to the top security prison site. 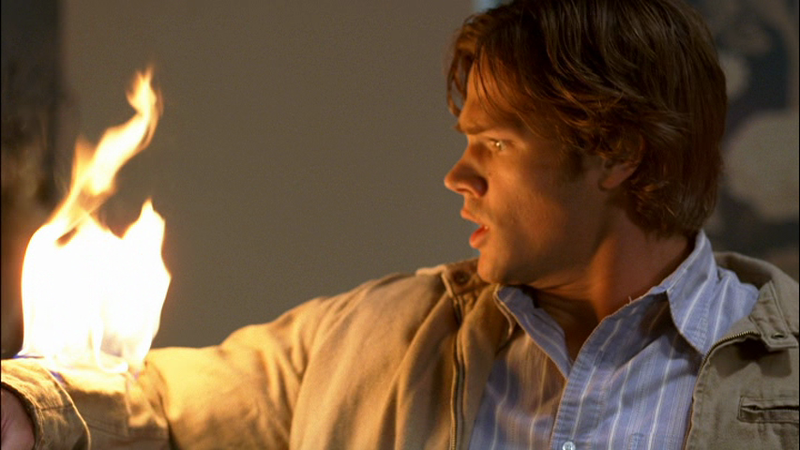 FATE: Sam is shot in the left shoulder while wearing this shirt in Bad Day At Black Rock (3x03), not to mention it might have gotten singed when his coat sleeve caught fire. Despite this, it miraculously reappears in S8. 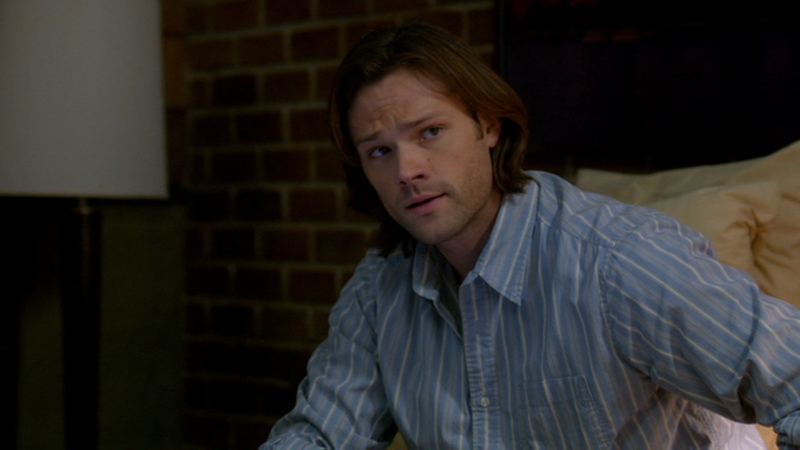 In First Blood (12x09), Sam’s clothes, including this shirt, are taken away from him when he is imprisoned. When he and Dean escape, they only have their jumpsuits on, and appear not to recover their confiscated clothing at all.